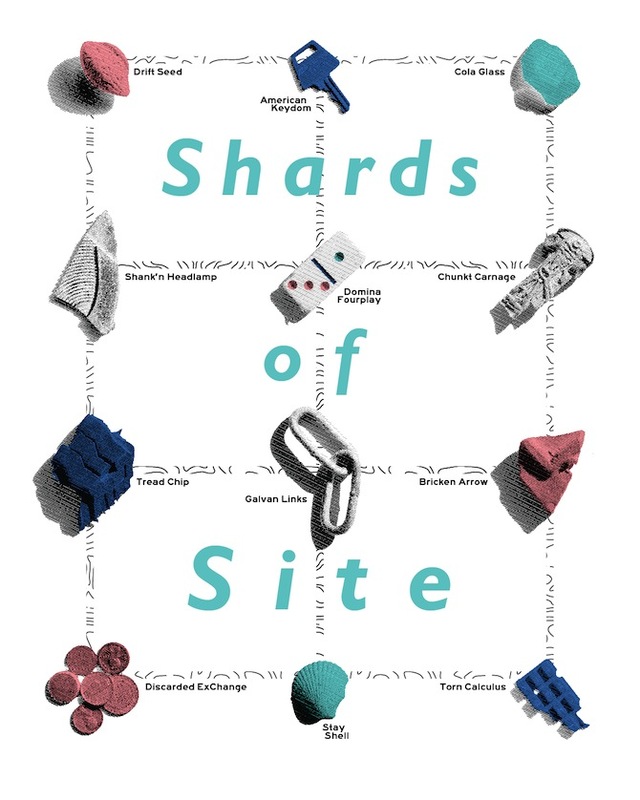 Check out the collectable New Public Sites print, Shards of Site, at the Print/Collect opening on Saturday, July 13, from 8-11pm at Current Space in Baltimore. Print/Collect is an independent publication that showcases eight artists working in Baltimore by circulating an affordable portfolio of limited edition prints. Each portfolio within the edition of 125 is available for $200 and includes eight 16″x20″ prints plus a 64 page catalog. The catalog features interviews and images that provide background information on the participating artists. Print/Collect is curated by curated by Jennifer Coster and features artists Colin Benjamin, John Bohl, James Bouché, Cindy Cheng, Graham Coreil-Allen, Chris Day, Andrew Liang and Molly Colleen O’Connell. 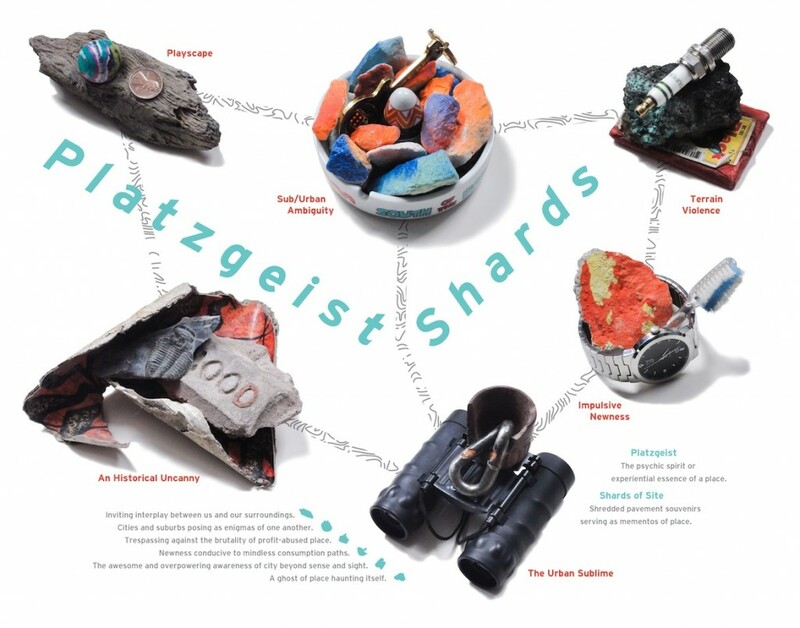 The Shards of Site poster is the first ever deliberately salable New Public Sites print and features an array of poetically titled urban artifacts collected from the streets of Baltimore. The shredded pavement souvenirs will serve as mementos of place as they gracefully hang on the walls of your urban abode. Click here to purchasing your copy of the inaugural Print/Collect portfolio and catalog. Click here to download the official press release and learn more about the project and other artists at printcollect.net.